The fantastic team behind Newton Stewart & Minnigaff Traditional Music & Dance Festival who have been delivering outstanding music, dance, language and arts programming in the Wigtownshire region of Dumfries & Galloway since 2014. Trad Music Trust needs to gather and use certain data about individuals. This policy applies to all projects operated under the auspices of Trad Music Trust. The data can be relating to artists, audience, customers, suppliers, business contacts, employees, funders, and any other people the organisation has a relationship with or may need to contact. This policy describes how this personal data must be collected, handled and stored to meet the Trad Music Trust’s data protection standards and to comply with the law. Protects the rights of staff, patrons, volunteers, user groups, partners etc. GDPR describes how all organisations must collect, handle and store information. These rules apply regardless of how that data is stored i.e. electronically, on paper or on other materials. To comply with the law, personal information must be gathered in a certain way and used fairly, stored safely and not disclosed unlawfully.  Trad Music Trust's Board of Trustees is ultimately responsible for ensuring that the organisation as a whole meets its legal obligations. The only people able to access data covered by this policy should be those who need it for their work. Data should not be shared informally – when access to confidential information is required, employees can request from their line managers. These rules describe how and where data should be safely stored. Questions about storing data safely can be directed to the Project Co-ordinator. When data is stored on paper, it should be kept in a secure place where unauthorised people cannot see it. The more important it is that the personal data is accurate, the greater the effort Trad Music Trust should put into ensuring its accuracy. It is the responsibility of all employees who work with data to take reasonable steps to ensure it is kept as accurate and up to date as possible. Data will be held in as few places as necessary, staff should not create any additional unnecessary sets. Staff responsible for each project should ensure that one definitive contact list is maintained for that project. Staff should take every opportunity to ensure data is updated, all obsolete lists should be deleted/destroyed securely. Trad Music Trust will make it easy for data subjects to update the information Trad Music Trust holds about them. Data should be updated as soon as any inaccuracies are discovered, and removed if relevant. It is the Project Co-ordinator’s responsibility to ensure the marketing databases are checked every six months. Please note that users may withdraw their consent at any time and do not have to give a reason. If an individual contacts us requesting their data information, this is called a Subject Access Request (SAR). An SAR from individuals should be made by email or letter, addressed to the Project Co-ordinator. In certain circumstances, the General Data Protection Regulation allows personal data to be disclosed to law enforcement agencies with the prior consent of the data subject. Under these circumstances Trad Music Trust will disclose requested data. However, the Project Co-ordinator will ensure the request is legitimate, seeking assistance from the Board and from Trad Music Trust’s legal advisers if necessary. Trad Music Trust aims to ensure that individuals are aware that their data is being processed and that they understand how the data is being used and how to exercise their rights including their right to be forgotten. This policy was last reviewed on 8th August 2018. Next review due by 8th August 2019.